The capital city of Hungary, Budapest is an economic hub, classified as an Alpha world city and the second fastest growing economy in the European Union. To cater to the fast changing learning and training needs of the IT and business professionals, the KnowedgeHut Academy has introduced Certified Scrum Developer certification in Budapest. The challenge today one faces is the integration of various technologies in a project and setting standards. The five-day course covers the basics to advanced modules and is taught by expert tutors in the field. With an affordable fee structure, the course is open to IT professionals, business analysts, architects, project managers, etc. After a Certified Scrum Developer training in Budapest, you can exhibit your grasp on the scrum principles. Encouraging many companies and individuals to register for the course, the content material is carefully designed to give you an edge over other professionals as the process of certification is standardized with the best support from the team. On successful completion of the course, you get to access the best of opportunities with a membership in the Scrum Alliance. Enrol for CSD training in Budapest to attain maximum benefits from scrum and Agile framework. The CSD course in Budapest has the right blend of theory and practice sessions led by a team of professional trainers in the field giving the participants the necessary skills to crack the certification examination. 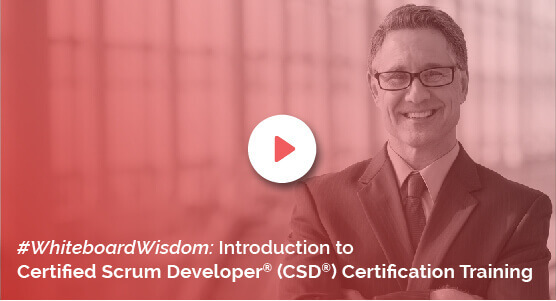 The CSD certification in Budapest also puts you on a prospective career of professional development as you gain access to some of the best course materials, e-learning and practical experience of working with scrum materials in addition to gaining access to newer platforms in the technology.